Photo Credit by, FLC Models and Talents FB page. The desert dune city, Dubai has been transformed into a Megapolis city over the years. It is now known as the central hub for traveling & business in the Middle East region. The nightlife of Dubai is also very happening and there are plenty of modeling agencies in Dubai to meet the demand of advertisement & media. We have discussed below, some of the top notch modeling agencies operating in Dubai. These modeling agencies in Dubai have produced some outstanding models which has been showcased on the billboard and magazine covers. So, if you want to kick-start your modeling career in Dubai, you might want to contact one of the below listed modeling companies in Dubai. In 2008, MMG Models was founded and is now considered as the most respected and fastest growing modeling agency which is in the Gulf region and not only in the UAE. A team of experts which have lived and breathed the industry has operated and managed this agency and they are highly experienced which enabled them to use it to offer a high level and personal touch of quality which is able to satisfy their services to the most perceptive clients. It has special relationships with the best modeling agencies in the world and has set up an international investigation network to enable them to bring excellent raw and also experiences talent in the Middle East. The careers of some of the best young faces in Milan and Paris have been launched by MMG Models this season and will be continued in the future. Their models have walked the runways of esteemed designers like Jean Paul Gaultier, Ralph Lauren, Caroline Herrerra, Celine Stephane Rolland, and Giambattista Valli amongst others and have also styled the covers of many popular magazines worldwide which also enriches the modeling experience of models and boosts the models portfolio. MMG Models introducing and discovering new talents continuously as they are dedicated to delivering innovative views to the UAE. Thus, they are one of the top modeling agencies in Dubai. Middle East’s leading Modelling Agency is Diva Modelling and Events. It provides a top-class international hostesses, models, entertainers and promotional staff, which lead to its elite reputation. High quality services including event management, model training and exclusive productions to all forms of companies and agencies including all kinds of communication and marketing is provided. The professional promotional industry has transformed across the Middle East from its global company headquarters in Dubai. One of the most up to date model agencies in Dubai is “EMODELS ME”. They provide excellent services to the customers with a great set of models on board. Alexander Montez has established this modeling agency in 2010 and he is a former international model. One of the most active model agencies today is EMODELS ME JLT. The policy of this company is to provide high quality service to its clients also considering the budget and project time lines of the clients. You’ll find more than 700 live users and more than 28000 images of models on their website. It also provides many casting videos to best customers such as advertisement and production agencies. The most respected and largest modeling agency in Dubai is “Bareface”. It manages international and regional talent, models and entertainment across the fashion, film, events and TV industry. 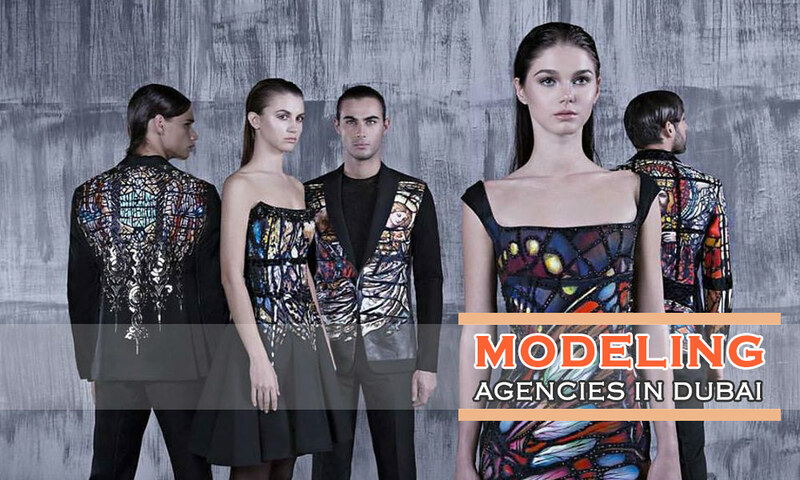 By providing exceptional services to its clients as well as talent, it leads the talent and model industries. Continuously new talent is being explored also with defined industry standards and building strong relationships. The reputation of Bareface Modeling agency is gained by trust, loyalty, expertise and a strong passion in the work they do. Tailoring the performance concepts and to manage all the aspects of the entertainment events if what its creative team works closely with from beginning to the end. Bareface is devoted to representing and managing all of the entertainment talent with many entertainment options for any corporate function, large scale production or live event from performers, choreographers, musicians to speakers, keynote, brand ambassador and presenters. FLC Models and Talents agency is a Dubai based modeling agency with local models, international models, artist, casts, fashion shows, entertainers and Print shoot or film production coordination is what this modeling agency has specialized in. Clients and local agencies is what they work with and provides assistance in Dubai. These are some of the known and best modeling agencies in Dubai to kick-start your modeling career. If you want experienced above mentioned modeling agencies or want to recommend one, please add comments below. Sub: Seeing job in Fashion Modelling or any suitable job in Sales & Marketing. I am seeking job in Fashion Designer / Modelling or any suitable Job in Sales & Marketing in your company offer to me and would like to apply for said position. I can develop and implements in Social Media Strategies including Facebook, pinterest, you tube and twitter accounts, Can contacts with buyers or superstores International, I believe your company is a perfect fit for me and I will be able to bring a lot to your esteemed company, and offer realistic solutions to challenging problems. I feel that I can bring enthusiasm, passion, intelligence and humility to this position, I have strengthened my existing knowledge and have handled several key functions and roles. I can work under high pressure for prolonged periods of time and can work at any time of the day to meet the requirements of the production house. Working in a fast paced environment allows me to demonstrate my confidence and strategic abilities. I enjoy setting goals and using problem solving skills to achieve the best possible outcome. Dedication to providing high quality results is all part of my personal commitment to the job. My outgoing personality makes working with people from all different backgrounds an easy part of the job. If you are looking for an Intern who is willing to take on responsibility and make sure the production is completed on-time and on budget – I am right for this position. Age: 50, 60kg, 5-9 heights, belt 35. Slim & smart. I’d love the chance to speak with you in person about my skills and ambitions.